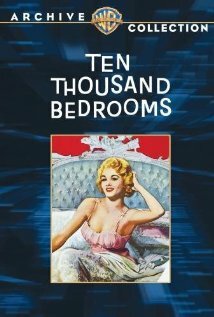 Buy or Rent Ten Thousand Bedrooms (1957) Movie DVD & BluRay Online! Movie Plot: In this musical-comedy, Dean Martin plays an American hotel mogul who becomes smitten with a young Italian woman (Anna Maria Alberghetti) when buying a hotel in Rome. To marry this gal, he has to get her three older sisters married off.